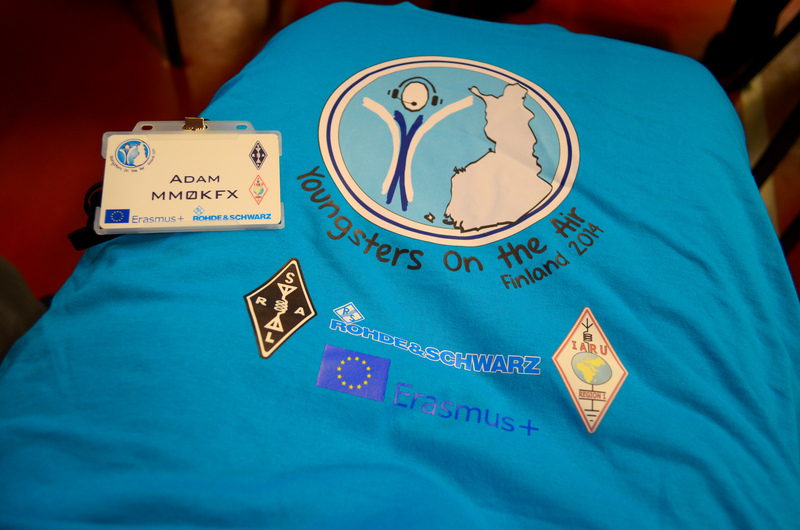 It’s been just over 3 weeks since returning from the 2014 meeting of Youngsters on the Air (YOTA) in Finland. 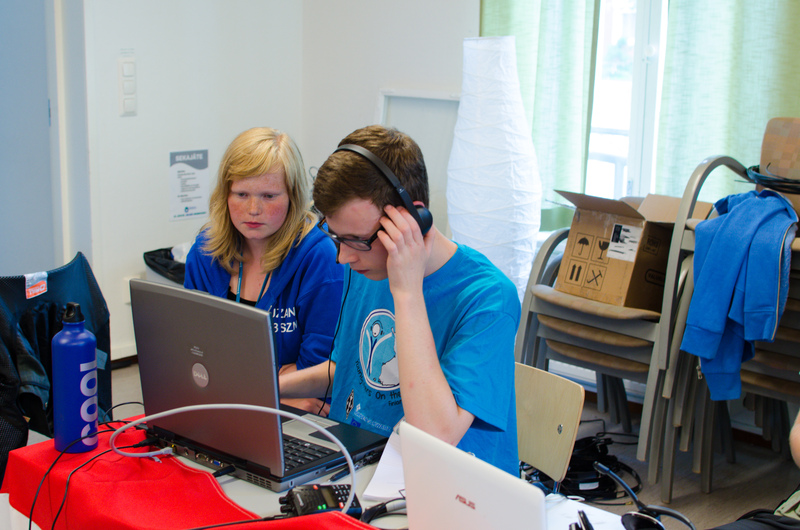 The event was hosted by the SRAL, the Finnish Amateur Radio League and was supported by IARU Region 1. The event was also supported by funding from the EU+ Erasmus programme and for the UK team; the RSGB covered any remaining expenses. 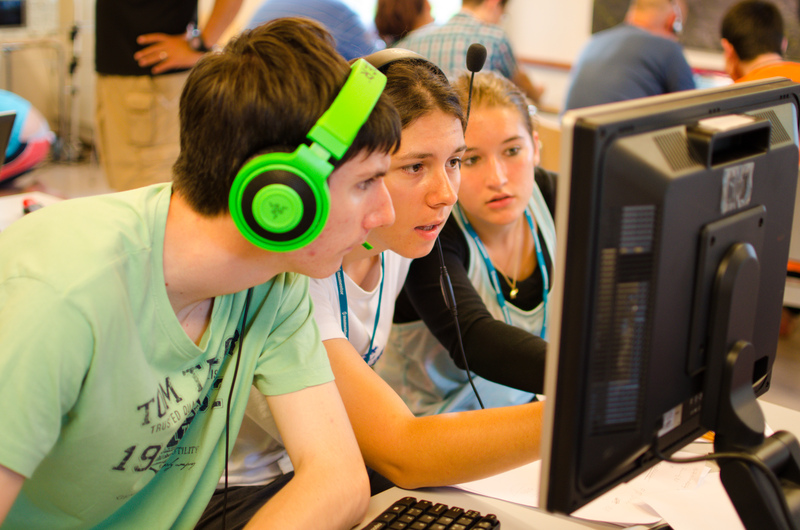 The purpose of the Youngsters on the Air programme is to bring together young people aged between 15-25 from IARU Region 1 countries; to develop skills, meet new people and have fun! 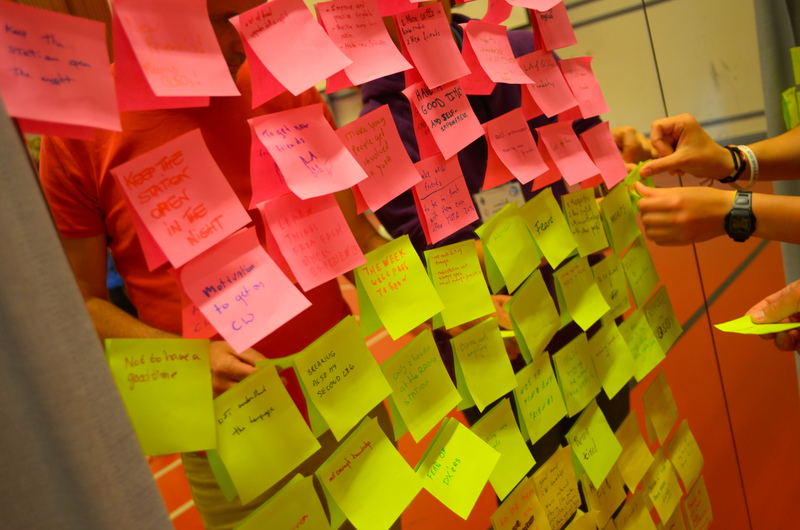 There were a number of events aimed at building better relationships; such as team building activities, discussing stereotypes and developing communication skills. But of course, there was a whole host of radio activities; from ARDF to construction and everything in-between. 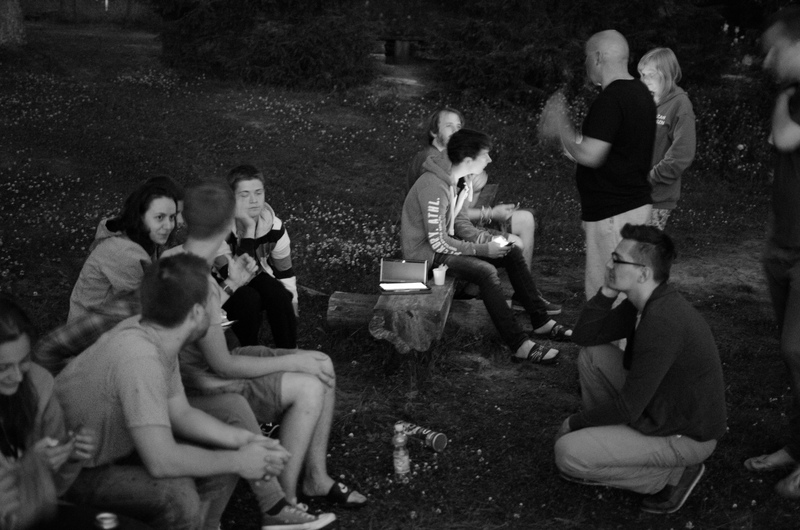 In all, there were 15 EU countries who attended, represented by 4 young people as well as a team leader. The UK team consisted of me, Dan M0WUT, Jonathan M0ZJO, Ricky MW6GWR and team leader Gervald G0GNF. The first day was largely spent travelling. My journey to Finland began early in the morning, when I had to catch a flight from Edinburgh to Manchester. I met up with the UK team at Manchester airport and we then flew to Helsinki airport. 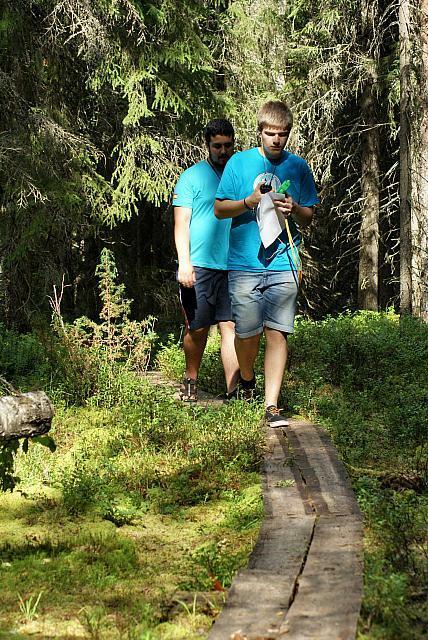 We were met in Helsinki by some of the other YOTA teams and we eventually made our way to the coach which had been arranged to take us to the camp where we would be staying. This was around 4 hours away, but the bus had free Wi-Fi, much to everyone’s delight! On arrival at camp Marttinen, around 5 kms from Virrat, which would be our base for the next week, it started raining very heavily. We were met by Kati OH2FKX and Martti OH2FPK. We were quickly shown to our dorm and left our bags there whilst we made our way back up to the main building for dinner. 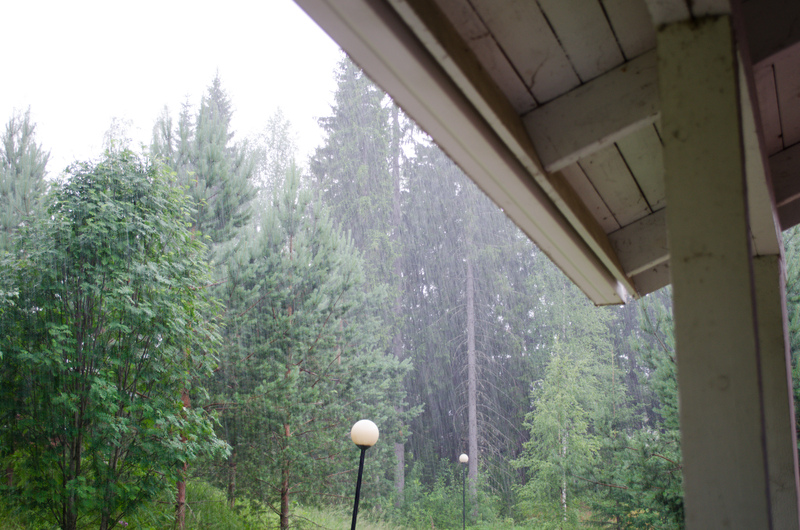 A wet arrival – a typical Finnish summer’s day, apparently! 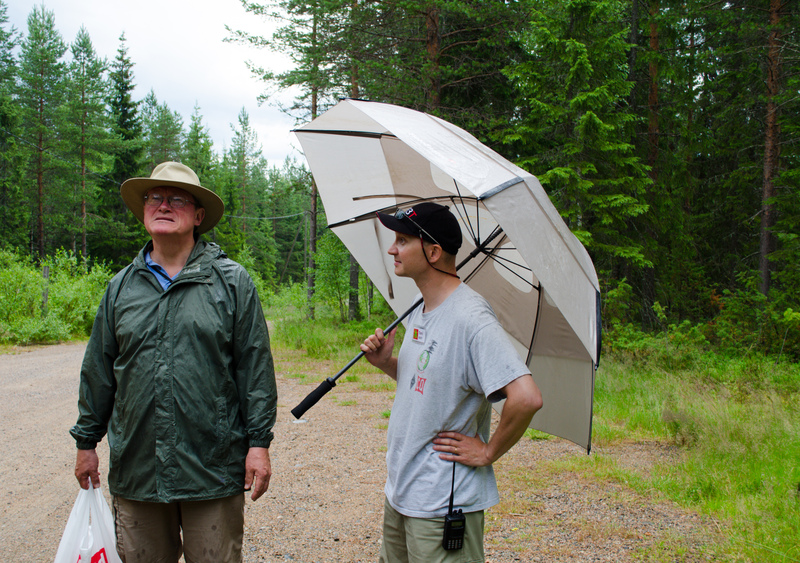 After dinner, once the rain stopped, we were given a quick tour of the camp, including the antenna farm for the Special Event Station OH2YOTA, which all teams would operate throughout the week. We then made our way back to the dorm to unpack. Most people then came down to our dorm for a small party, but I’d been up for 20+ hours, so it was time for bed! We were up early, around 8am for breakfast, with the first activity starting at 9.15am. As it turned out, this would be the schedule for the rest of the week, with the first activity always being an “energizer”. This was essentially an “ice-breaker” and warmed us up each morning and got people talking to each other. 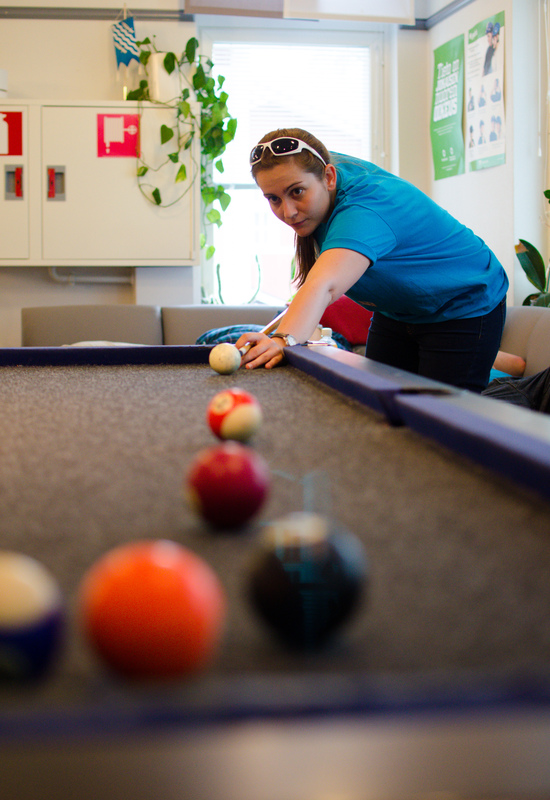 They usually lasted for around 20 minutes and each team would take turns throughout the week hosting one. We then made our way into the main hall and were given a brief outline of the week ahead. We had to write down our hopes, fears and expectations of the week ahead on post-it notes and these were placed on the mirror in the hall. 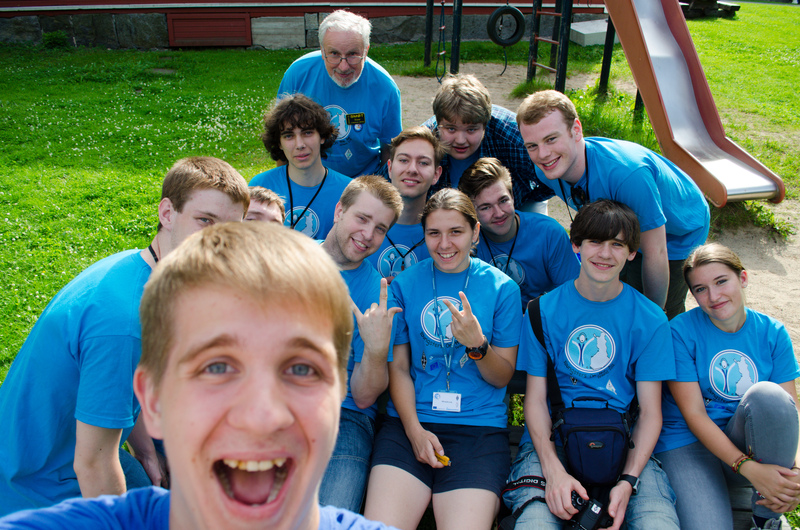 We then received an update as to what had been going on behind the scenes since YOTA 2013. This included QSL matters as well as an introduction to the new and improved YOTA website. It was then time for the first lecture of the week, which was on VOACAP by Jari OH6BG, a founder of the programme. I’ve known for a while about being able to gauge what you can work, given your set-up and current propagation, thanks to tools in Clublog, but had no idea VOACAP existed. I’ll certainly be using it to plan when to work the DXpeditions! After lunch, we had another energizer and a small talk on the rules and procedures for using the Special Event Station OH2YOTA. 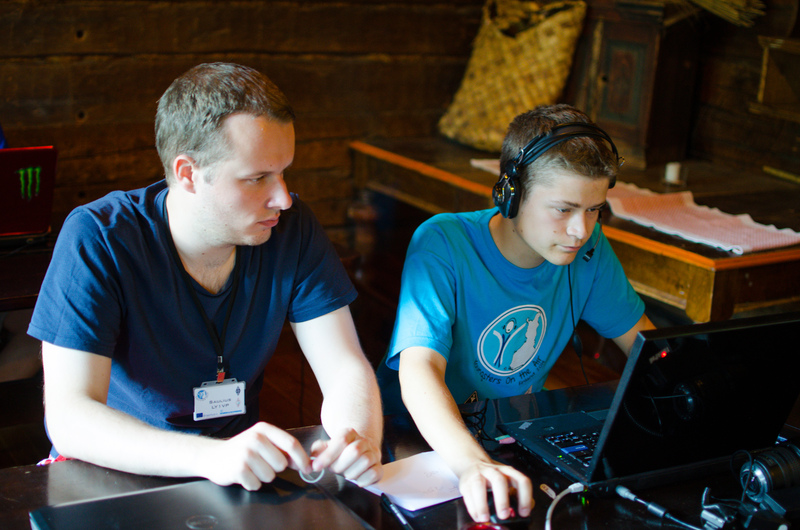 All teams had the opportunity to book two, 2 hour slots during the week. The evening was then spent preparing for the Inter-cultural evening. 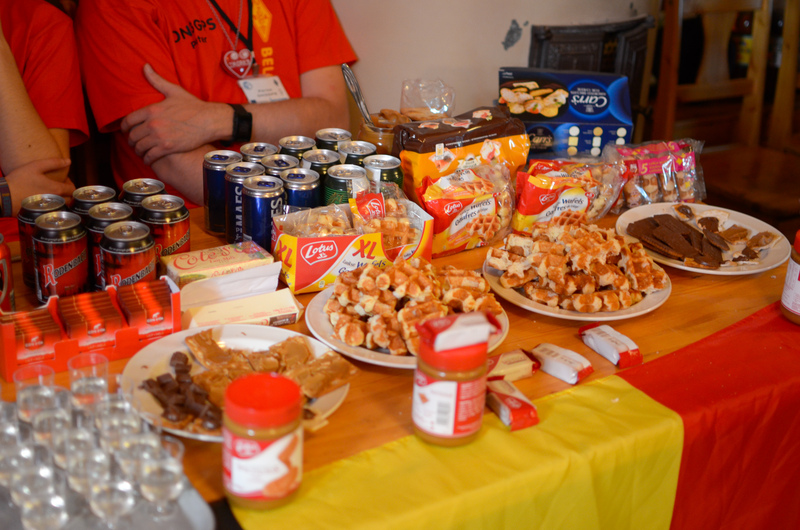 This was an opportunity for each team to show off it’s food, drink and national traditions. 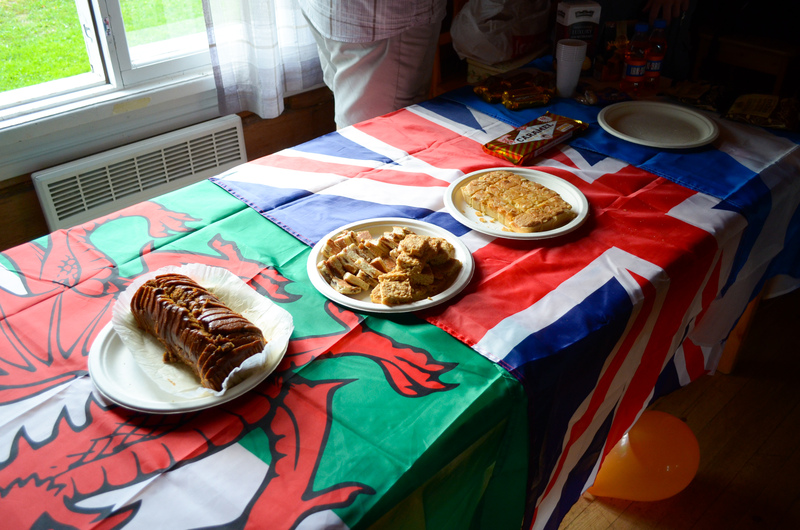 Team UK brought along a small selection to showcase the nations of the UK. 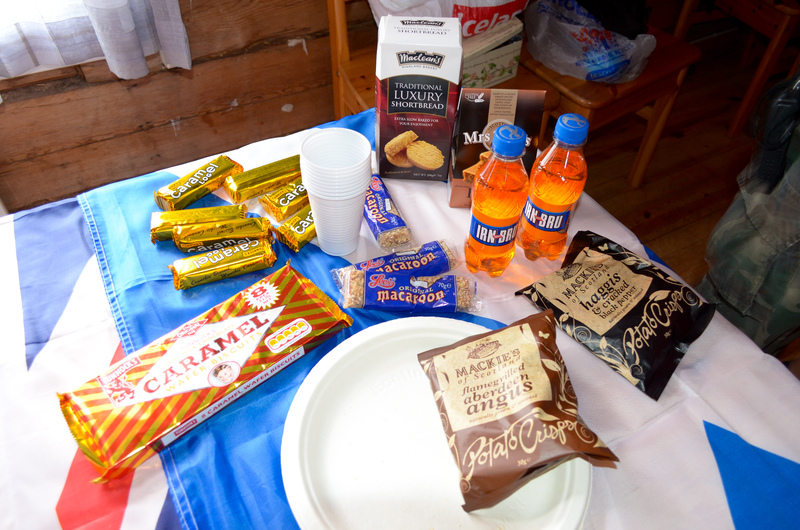 I of course brought along the Irn-bru, shortbread and Tunnock’s to represent Scotland! Irn-bru proved to be really popular and people kept asking me throughout the week where they could find it in Europe! The Inter-cultural evening dragged on into the night and everyone had a great time. 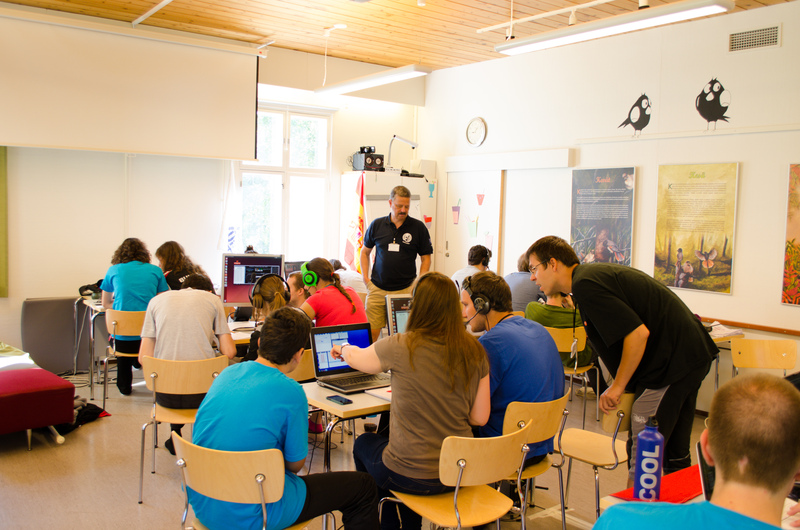 Today, there would be two main activities taking place; ARDF and an electronics/antenna building workshop. ARDF, or Amateur Radio Direction Finding, involves a number of teams who must compete against each other to find the hidden transmitter, or “fox”. There are a number of foxes hidden around a specific area, with each fox only transmitting for around 10-15 seconds each. To be successful, teams must be able to locate and pin-point the locations fairly quickly, but devise a plan on the order in which to find the foxes. 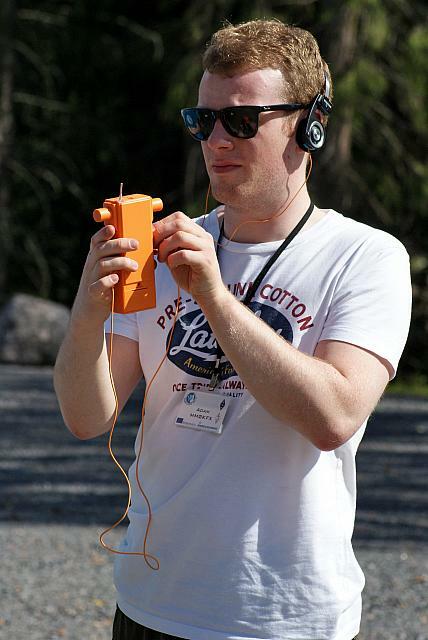 ARDF combines amateur radio along with navigational skills and plenty of physical exercise! The morning was spent learning about the rules of ARDF and as soon as this finished, the teams were split, with half going to do ARDF, whilst the others went to construct a Slim-Jim 2m antenna or build a CW oscillator. 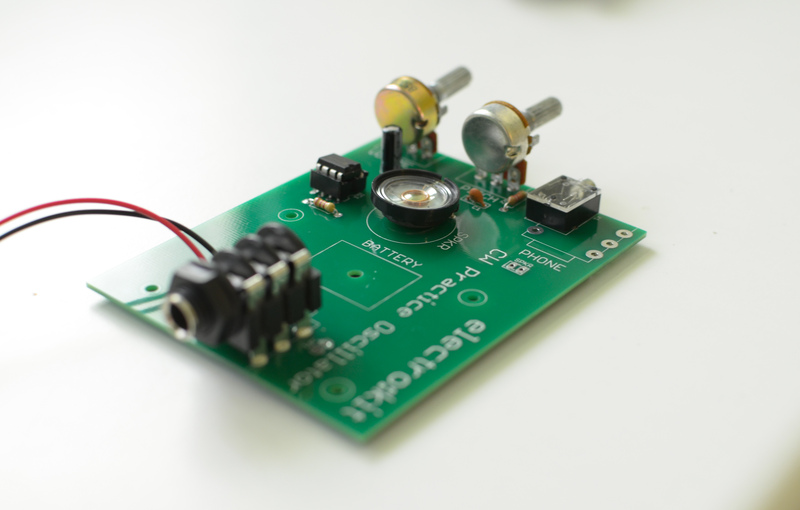 I went off to build the CW oscillator, which was a relatively easy kit project. I haven’t done many kit projects before, so it was really enjoyable to do something different and to develop my soldering skills! We eventually managed to find all 10 foxes in just over 1 hour. The best time was just under 40 minutes. We certainly learned a lot and had fun at our first ARDF event! Another presentation was then held in the evening by the Spanish team, discussing SDR’s, IRLP and Echolink. We then spent the rest of the evening in the room just behind the radio shack chilling out. Jurek SP3SLU, the Polish Team Leader, brought along a guitar; so of course, there was a lot of group singing going on! Today was another exciting day, with two field trips planned! 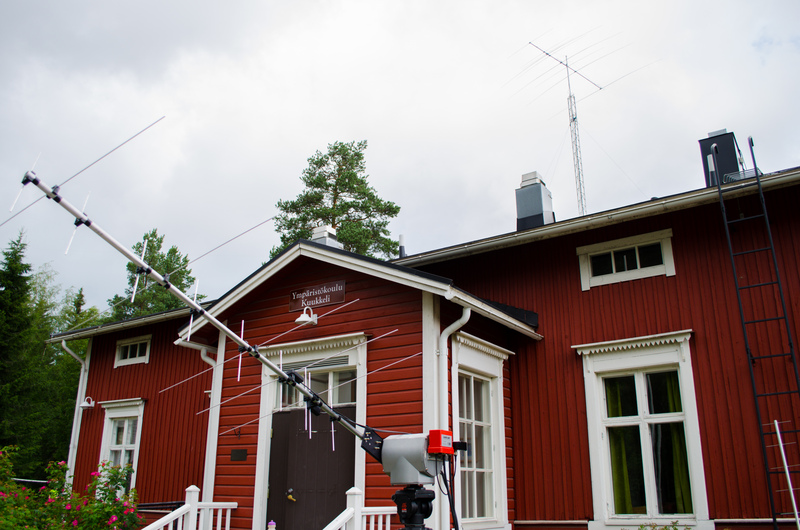 We either had the choice of visiting a SOTA summit, or visiting Scandinavian Weekend Radio (SWR), which is located close to Virrat and is the only commercial radio station in Finland which still broadcasts on LW and MW. The morning consisted of a presentation on linked repeater systems by Marko OH8WM, which was very interesting. As Finland is very large, with a very sparse population, you can see why usage of 2m and 70cm FM repeaters is low. 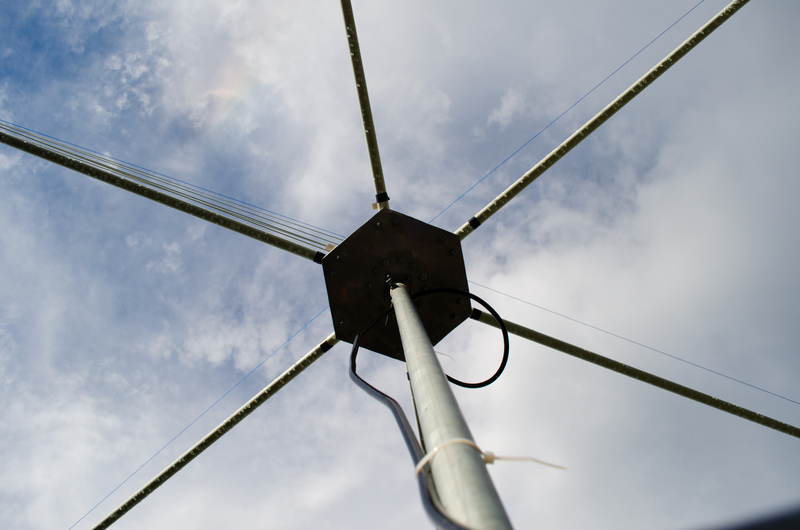 The purpose of a linked repeater system is to generate a wider user base and ensure that VHF/UHF FM remains active. The second presentation of the day was on Radio-astronomy by Jonathan from team UK and was fascinating. 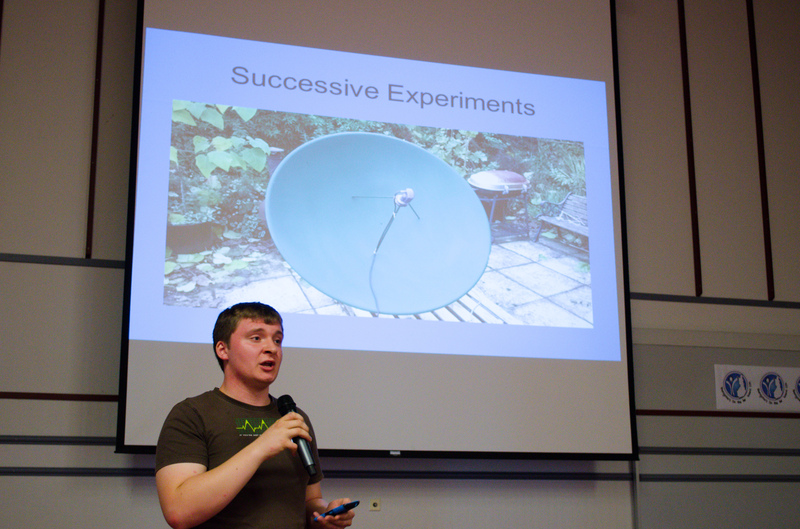 Jonathan uses a small parabolic satellite dish, similar to a standard commercial satellite dish for use at home, to receive thermal pictures of the sun. Interesting stuff! After lunch, it was time to head off on the respective field trips. I chose to go to the SOTA summit, as did the rest of the UK team and many others. We got aboard the coach and the journey would end up taking about 40-50 minutes. Our destination was the summit of Kiiskilänmäki, SOTA reference OH/JS-016. 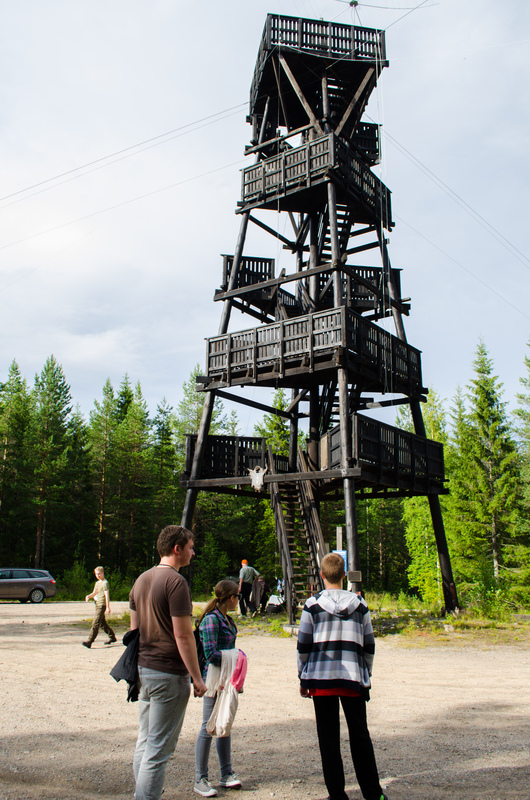 The summit is the highest point in southern Finland, at a massive 268.8m ASL! This just goes to show how flat Finland really is. 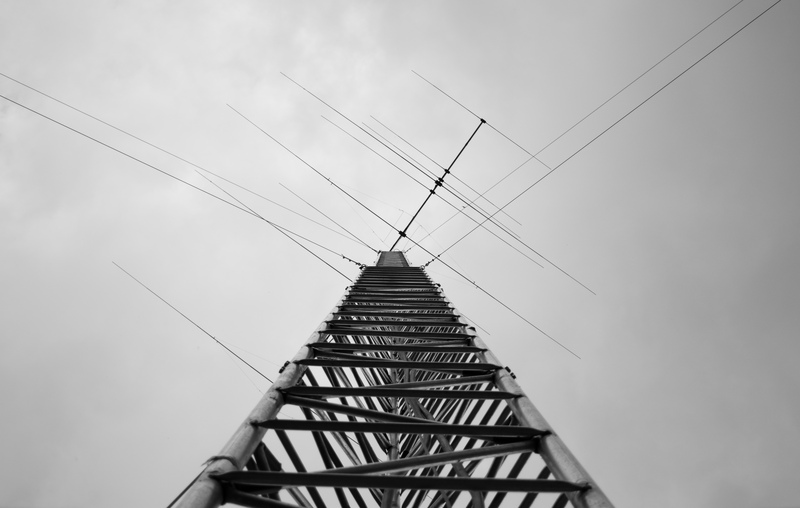 SOTA, or Summits on the Air, “…is an award scheme for radio amateurs and shortwave listeners that encourages portable operation in mountainous areas. 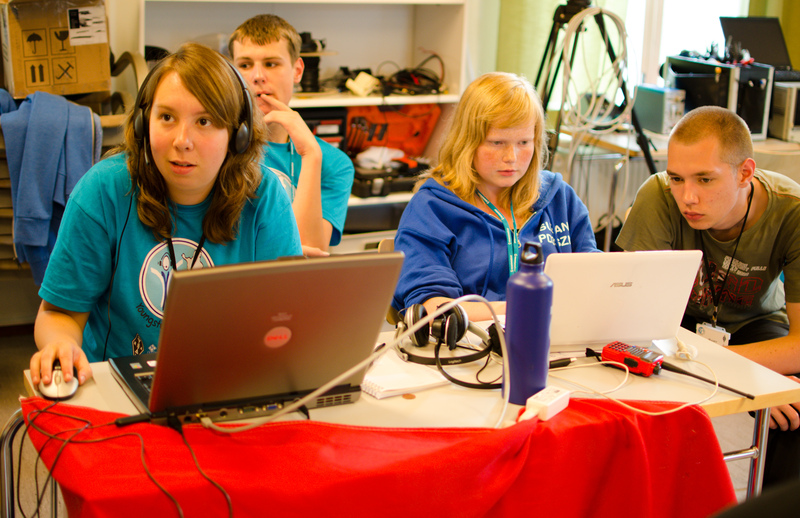 SOTA has been carefully designed to make participation possible for everyone – this is not just for mountaineers! 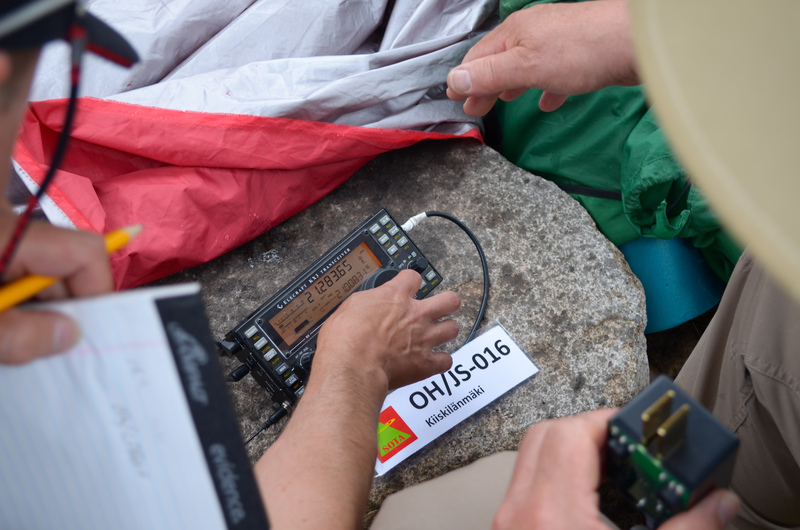 There are awards for activators (those who ascend to the summits) and chasers (who either operate from home, a local hilltop or are even Activators on other summits).” The programme receives a worldwide following, combining amateur radio and the great outdoors, with a mix of portable and low power operating. 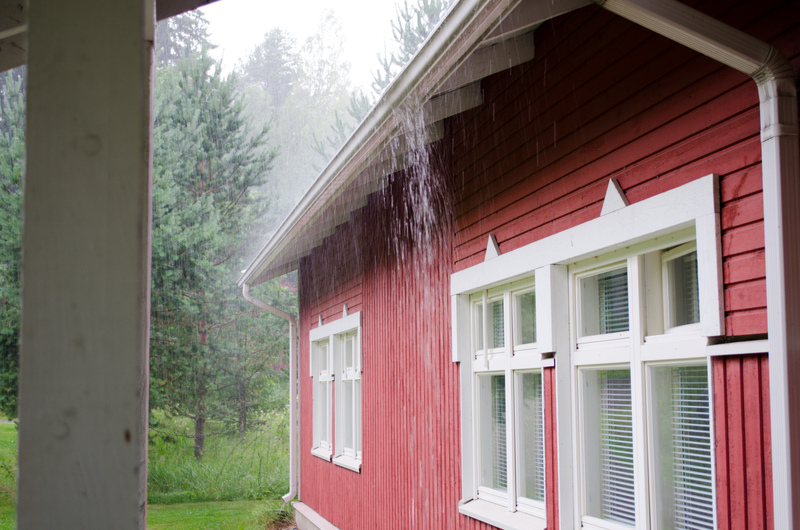 On arriving at the site, after passing down narrow gravel roads in the coach, the rain started. We were met by Toni, OH3T who explained what would be happening at the summit. Those who held a full licence, thus a CEPT reciprocal licence, would be operating as OH/ their own callsign. For example, I could operate as OH/MM0KFX. Those who did not hold a full licence could operate as OG3X under supervision and those without a licence all together, could have a go at using the CB radio. There were 3 stations in operation at the summit. For SSB, there was a KX3 with a small linear amplifier to provide 100w, with a Hexbeam antenna at the top of the tower at the centre of the summit. There was also a CW station, using a small QRP rig and an inverted V antenna. For 2m FM, there was a handheld hooked up to a “Slim-Jim” antenna. There were around 20 or so who held full licences, including the team leaders. 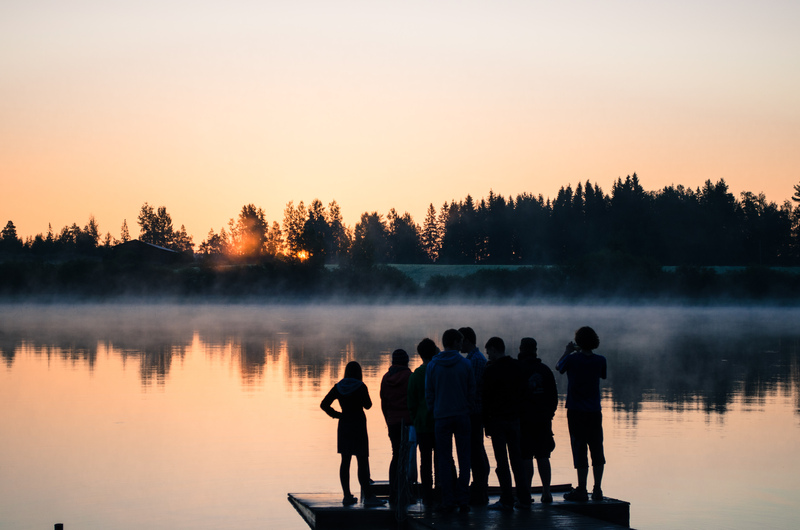 SOTA rules dictate that 4 successful contacts are needed to successfully activate the summit. Therefore, it was decided that we would make 4 QSO’s with our own call, before handing over the microphone to someone else. 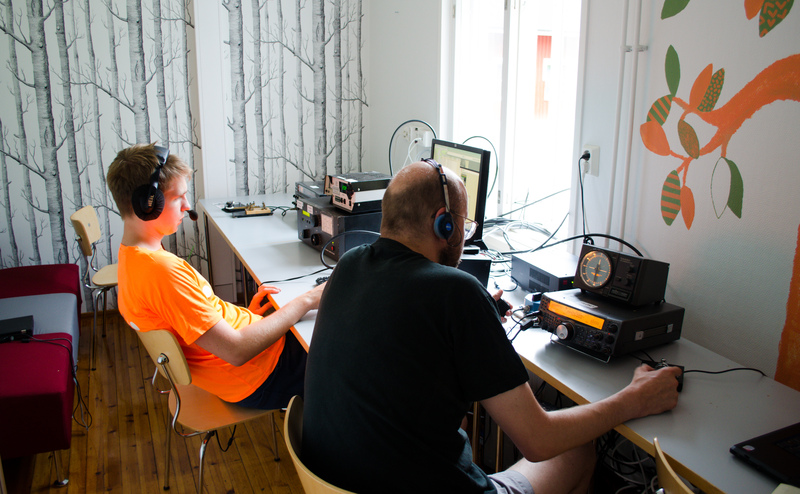 The vast majority of us operated the SSB station, but Juri ES5JR was certainly keeping the CW QSO’s flowing! Whilst not operating the radio, there were plenty of opportunities to admire the 360 degree views from the top of the tower and take plenty of photos! After travelling back to camp, it was time for the Treasure Hunt, which was organised by the PA team. We split into groups of 3-4 and were given a map of the camp. There were various points marked on the map and at these locations we had to find an orange flag, with a question card attached. The questions were amateur radio related and we had to report back to the PA team and give our answers. This went on for what felt like hours, but eventually team LZ won the prize which wasn’t a handheld or even a book, but rather, a watermelon! After lunch, it was time to start the European Radio Team Championship (ERTC) contest. This contest was a mock of the World Radio Team Championship (WRTC) which was held in New England, USA a week prior. The WRTC is held every 4 years and is the “Olympics” of contesting. Competitors are chosen from a variety of qualifying zones throughout the world and qualification is based upon contest scores 3 years prior to the event. 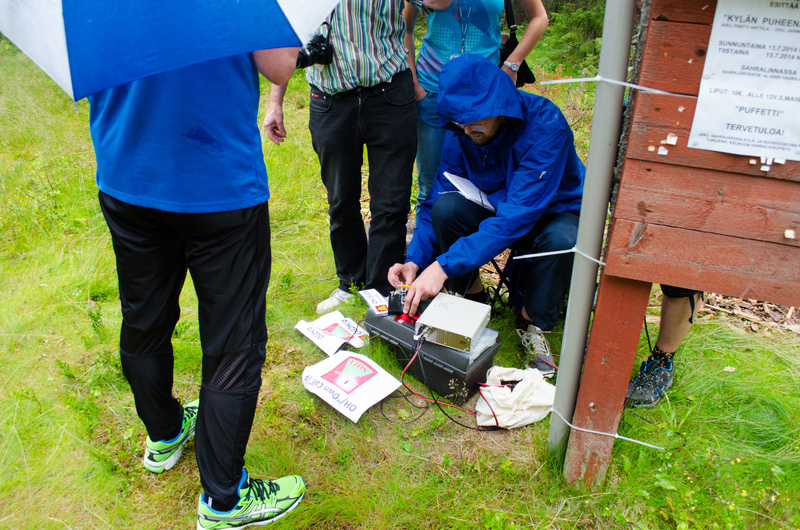 It is a two-man team event, forcing competitors to operate from the same geographical location, using the same antenna and similar radio equipment, therefore ensuring that contest results are based on operator skill, rather than other exogenous factors. 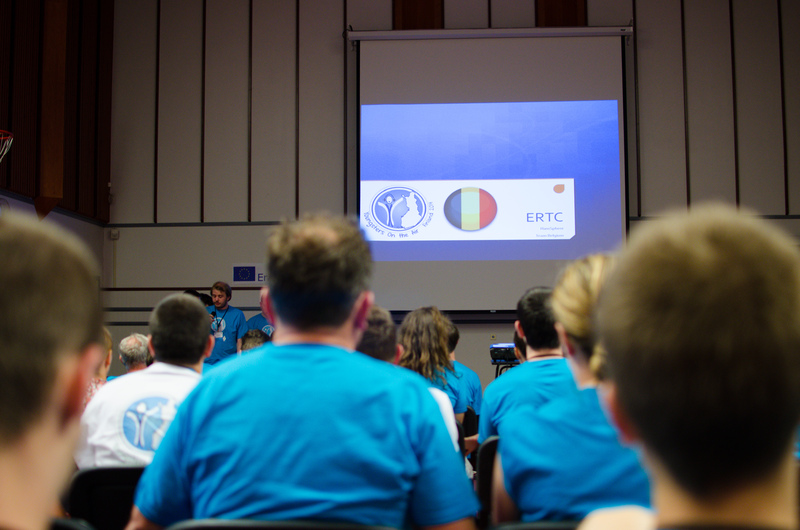 The ERTC contest consisted of two-man teams, representing each of the 15 EU countries participating at YOTA. 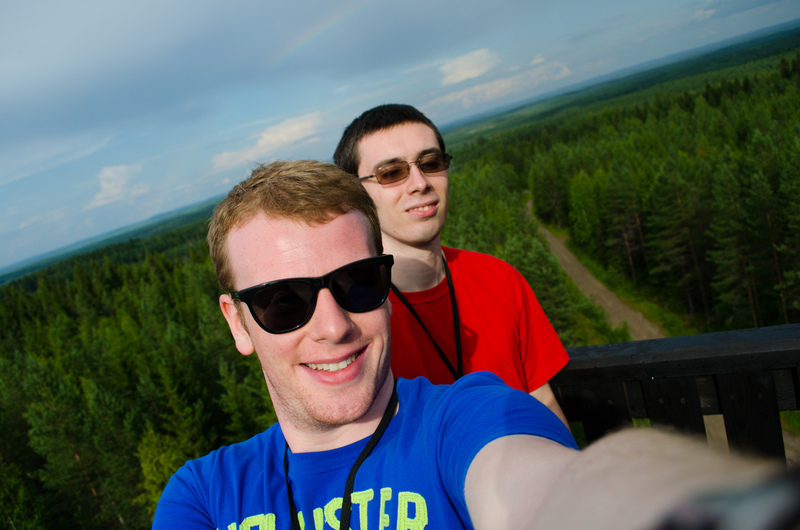 For team UK, there was myself and Dan M0WUT. 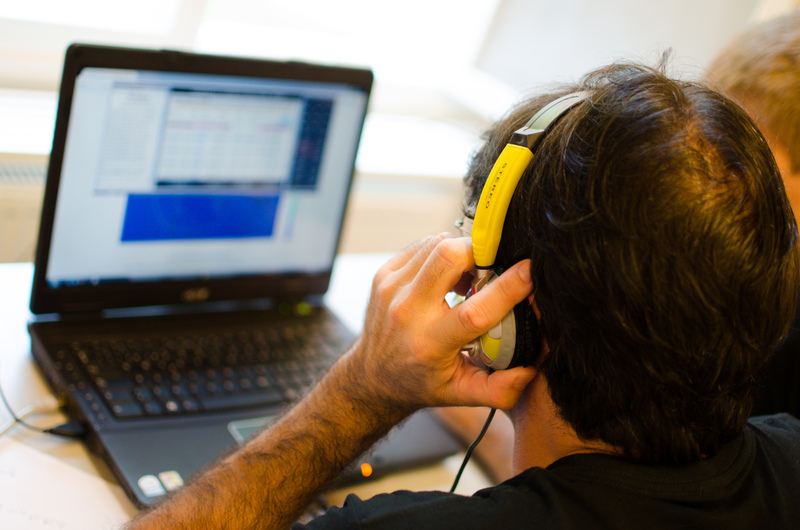 Instead of using RF, we would be using the software programme Hamsphere. 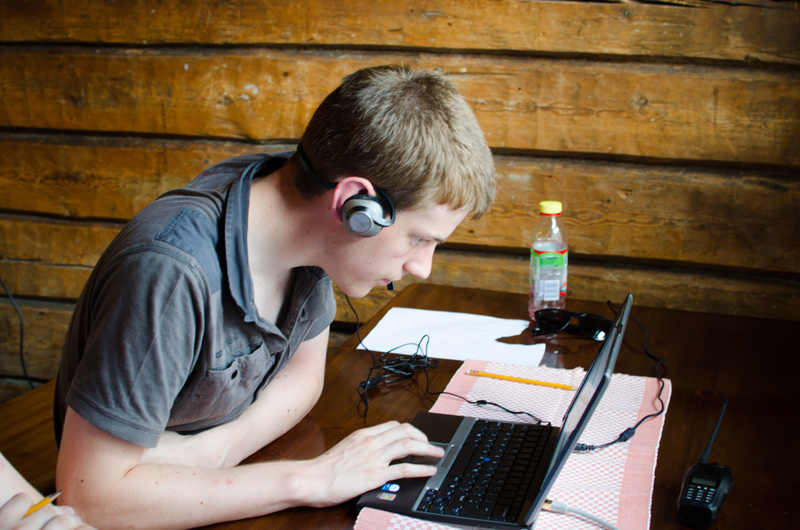 Hamsphere is a programme allowing licensed and non-licensed users to communicate with each other over the internet, using VOIP but imitating real world HF conditions. The contest did not get off to a good start. A large thunderstorm was moving through the area and caused intermittent power failures. Eventually the storm passed and power was restored 10 minutes before the contest started, leaving many teams panicking trying to get their laptops set-up. 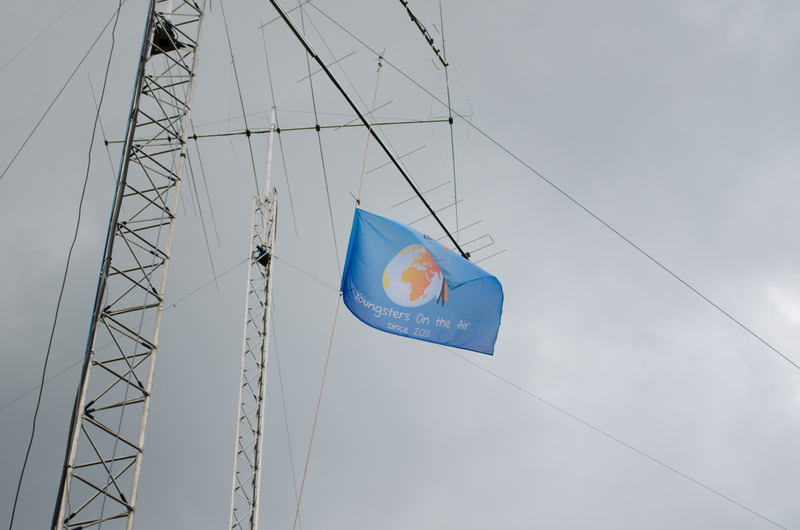 However, at 12:00 UTC (14:00 local) the contest begun. Myself and Dan got off to a good start. Our QSO rate was good and we worked some of the other ERTC stations who were worth 100 points each. However, we realised that the logbook was not recording our serial numbers correctly. It was after 30 QSO’s that I realised this and we had to quickly improvise and move to paper logging. As it turned out, other teams had this problem and suddenly everyone was forced to log on both the Hamsphere programme and on paper. Massive thanks to Jonathan M0ZJO for stepping in to help us out! The contest in full swing, with Jonathan M0ZJO doing a paper log! Before we knew it, it was 5pm and dinner time, marking the end of the first session of the contest. We felt we had done well and knew we were contesting for the lead, so we could only hope that tomorrow would go in our favour. 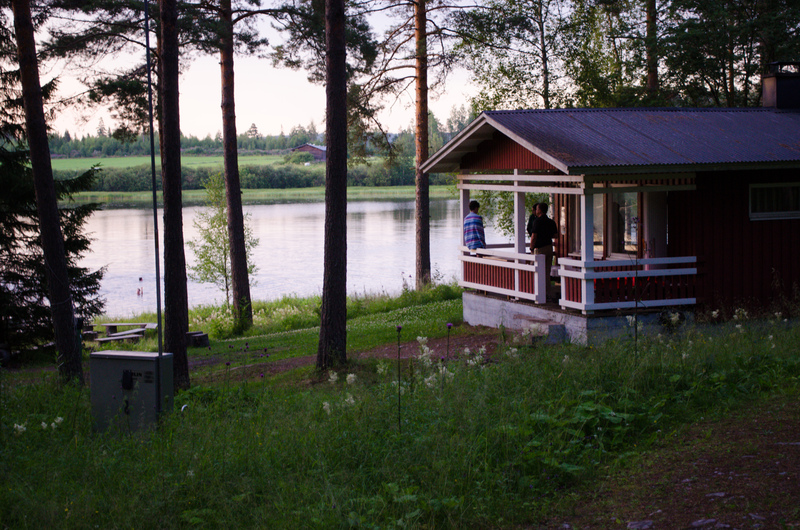 The evening was spent around the camp-fire, with many using the Sauna. 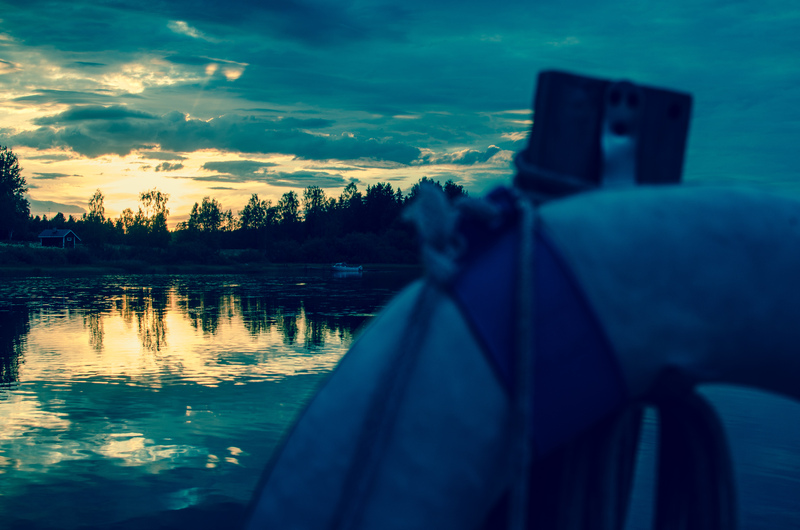 I decided to go for a long boat ride and take some photos. It would be an early rise tomorrow morning for the second half of the contest! The second half of the ERTC contest commenced at 6am local time, so it was a very early start to the day. 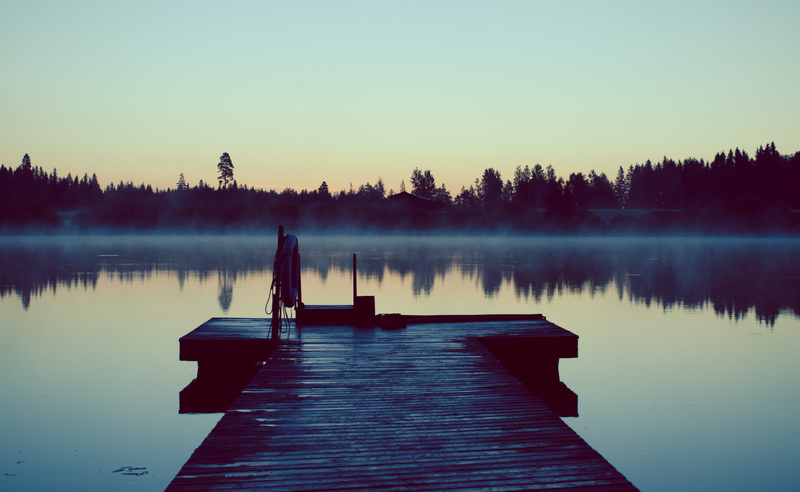 Once 6am came round, it was time to re-start from where we had left off. However, although we were continuing with the serial number we finished with the previous evening, we could now work everyone across all three bands again. Things got off to a good start and after an hour I went off to have some breakfast and left Dan in control. On returning, I took some photos and videos of the other competitors before taking over from Dan and completing the sprint to the finish. At 9am, the contest was over. We had no idea where we would finish, but we were confident of a top 7 finish. 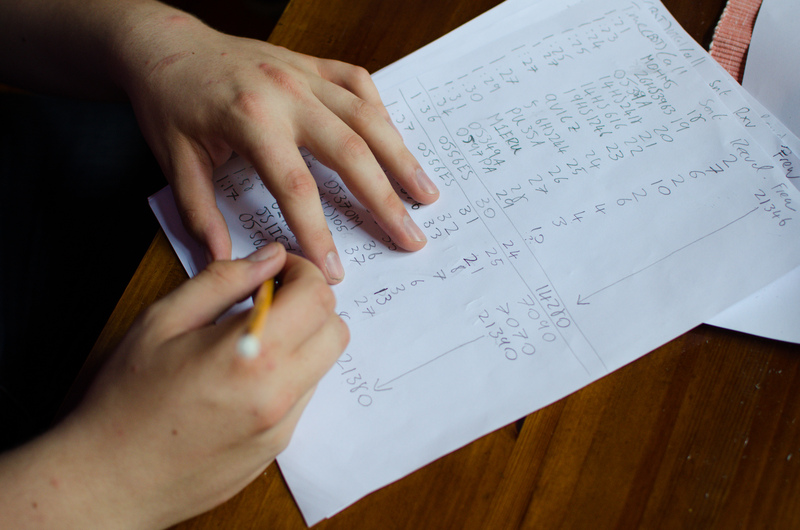 Our QSO count was competitive, but we were worried about multipliers. We hadn’t worked many of the other ERTC teams the day before, so this was a slight concern. However, Hans PB2T, IARU Region 1 president and adjudicator of ERTC 2014, explained to all the teams that the first 20 minutes of the contest would be declared void. This was due to the problems with logging and Wi-Fi which we all experienced at the start of the contest yesterday afternoon. This was both good and bad news for Team UK. Bad news, in that we were the leading team by QSO count after the first hour of the contest and good news, in that we had incorrectly logged around 30-40 QSO’s in this 20 minute period. However, this was the right decision by Hans in my opinion and it was good to wipe the slate clean after all the issues we had. Congratulations to the Czech Republic team of Sarka Vavrova OK2SVA (age 21), Jindrich Kostal OK1NOR (age 24) and Jan Honza Dohnalek OK1JD (age 20) and of course, to everyone else! 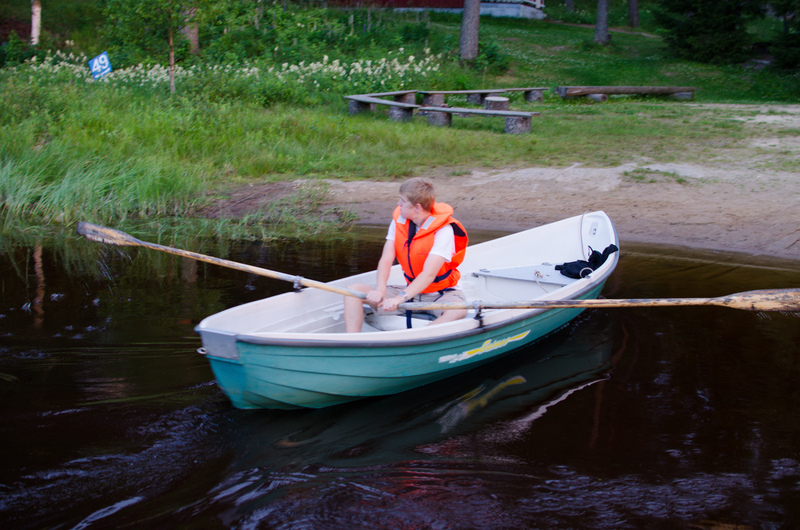 After the contest was over, it was time to head to the large lake across the road from the camp for the longboat race! We split up into teams of 14 and each team got familiar with the procedures of rowing before they were timed on how fast they could complete a small course. It was great fun and very exhausting. Especially when it was 30+ degrees! After the boat race, we made our way back to the camp. On returning, each team was tasked with doing a small presentation on a specific aspect of the week. Team UK chose to do the presentation on SOTA. We prepared a short presentation (lasting 5 minutes) by discussing what SOTA was as well as showing off a few pictures. 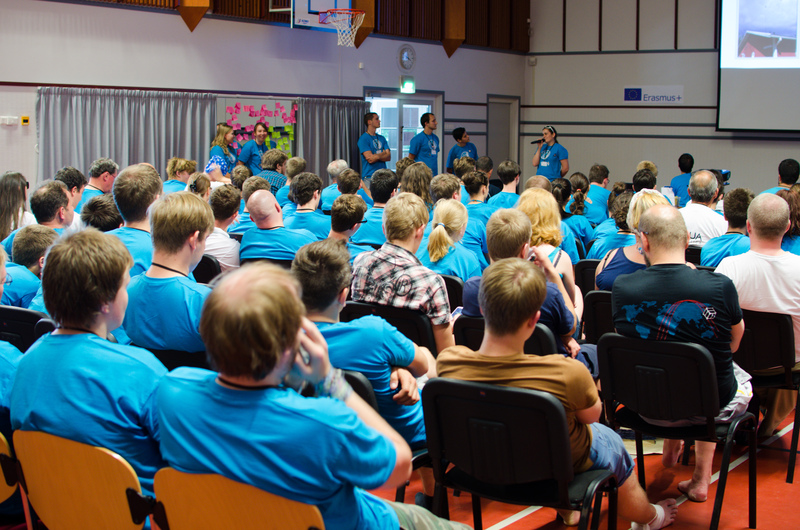 After lunch, all teams gathered in the hall where all the presentations would be held. 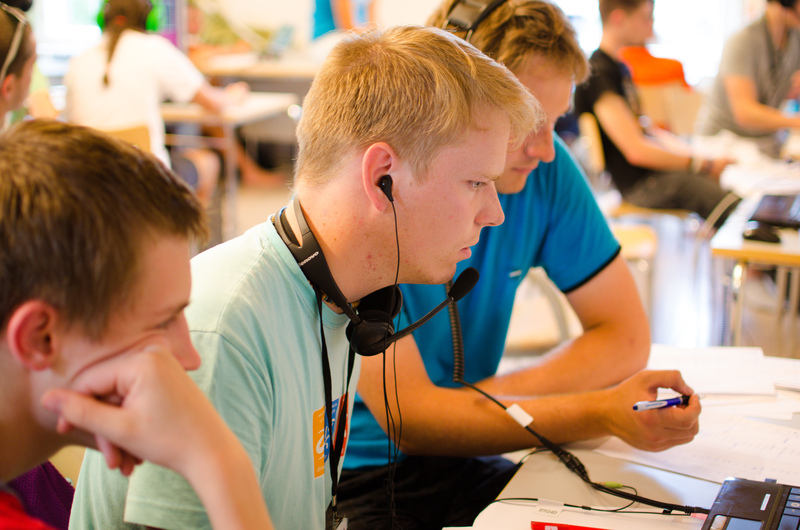 The presentations were designed to show members of the SRAL and representatives from the IARU, as well as to refresh all the teams on what we accomplished during our week in Finland. After dinner, it was Team UK’s turn to hold the energizer, which consisted of blindfolding someone and leading them round an obstacle course. You could only use commands such as; “Stop”, “go”, “left” and “right”. This definitely helped to develop communication and trust skills! After the energizer, it was time for another stereotype game which was then followed by a presentation on Interference by Edwin PA3GVQ. 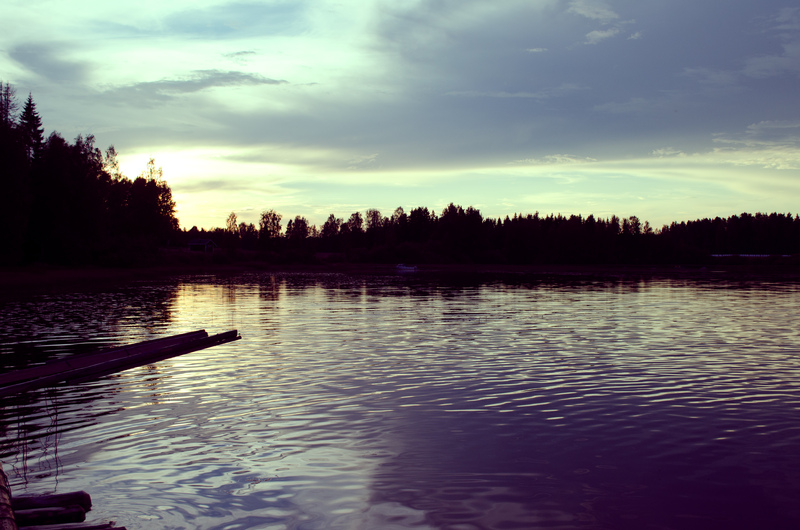 The remainder of the night was spent rowing around in the lake, as well as trips to the Sauna and hanging out at the campfire! After the morning energizer held by team ON and LZ, it was time for another lecture, this time by William IV3BAB. The topic was on EMCOMM and discussed the procedures in place by amateurs in Italy to any disasters which may need support from amateur radio operators. The infrastructure in use is impressive, with a vast network of repeaters linked together which are also supported with backup power. These ensure reliable communications across the various regions in Italy and even link in with a dedicated facility, where disaster relief can be co-ordinated. This facility also has HF capabilities and the HF antennas do look impressive! After the lecture, it was time to say goodbye to Team ES. It was a rather sad time and a reminder that we too would be leaving in just under 24 hours’ time. 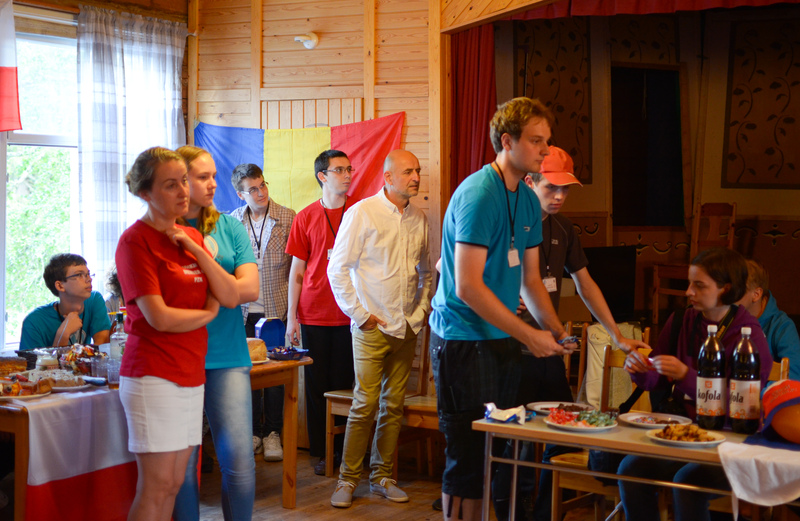 Just before lunch, we had another energiser by the OK team and a quick presentation on HamWorld by Karol SP8HMZ. HamWorld is a social network for amateurs, allowing individuals to create an account and network with others. After lunch, we had a communication workshop hosted by Edwin PA3GVQ. This involved a series of activities all over camp which helped to develop our communication skills in a variety of ways. One workshop involved spelling out a sentence, but using phonetics from your own language. 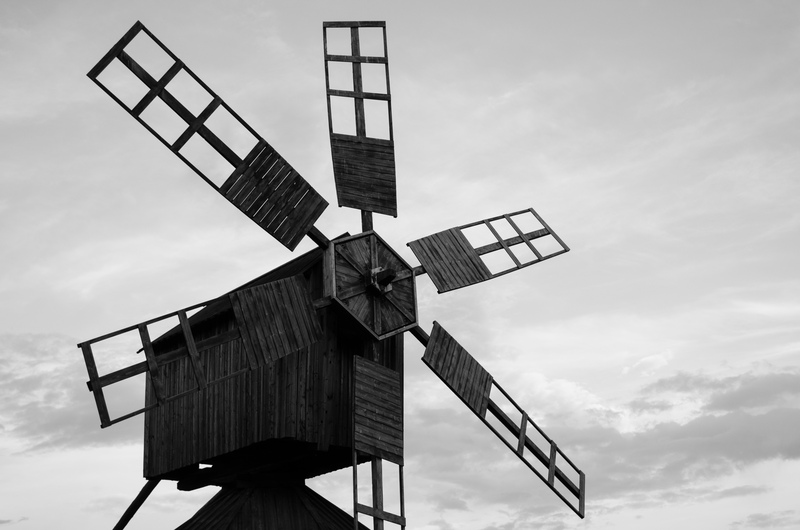 For example, saying “Valencia” to communicate the letter V might seem perfectly understandable for those who speak English, but not necessary to those who don’t. It was very confusing when we went round the circle and we had to spell words using the phonetics from everyone’s native language. Now I know why they developed the NATO alphabet! Another exercise involved someone building a model from Lego. This person then had to explain to someone on the other side of the room how to build a model identical to theirs, but only by communicating using a 2m handheld. This was hilarious and some “interesting” models came to life, albeit not quite what the original designer had in mind! 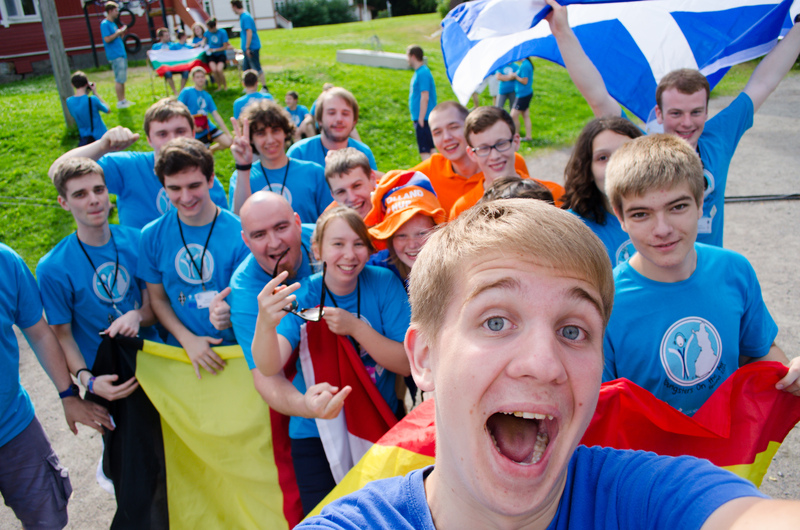 It was then time to take some of the last pictures of YOTA 2014, which meant it was time to get the flags out! All teams gathered for a YOTA 2014 group picture, but before long, people were swapping flags and posing for more photos. Everyone having fun posing for photos! 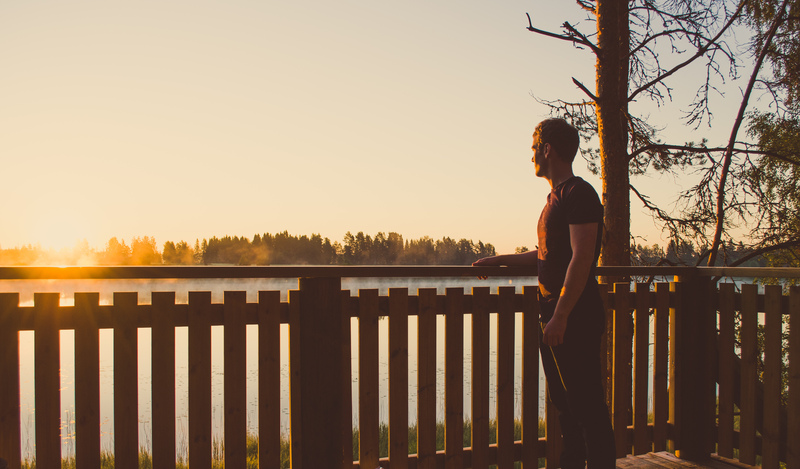 After dinner, we had a quick discussion as to what could be done better for YOTA 2015, whilst we also completed a few questions on what we thought of our experience in Finland and what we learned over the course of the week. It was then time to head back to the room and pack everything up, ready to leave in the morning. There was also an opportunity for Team UK to operate OH2YOTA before it closed down, so we took it. I was able to talk to a few friends back home in Scotland, including my club station, Stirling & DARS (GM6NX) on 20m SSB. As you will see from my other Blogs, I was involved in securing the callsign GA14CG at the club during August to celebrate the Commonwealth Games in Glasgow. I (OH2YOTA) was the first QSO in GA14CG’s log and it was a privilege to speak to the members before they got to work on racking up the QSO count. 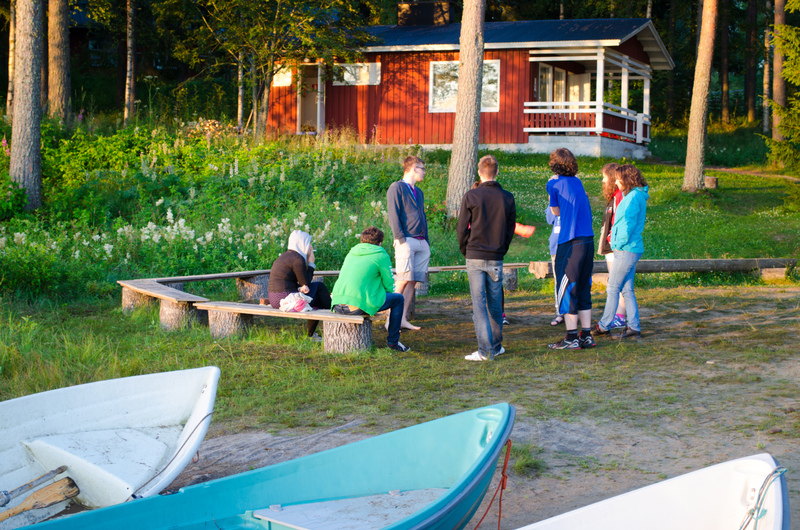 That night was the last opportunity to chill out at the campfire, head out in the rowing boats or make use of the Sauna. A few people, including myself, decided to stay up and watch the sunrise even though we had an early rise the next morning. It was definitely worth it! 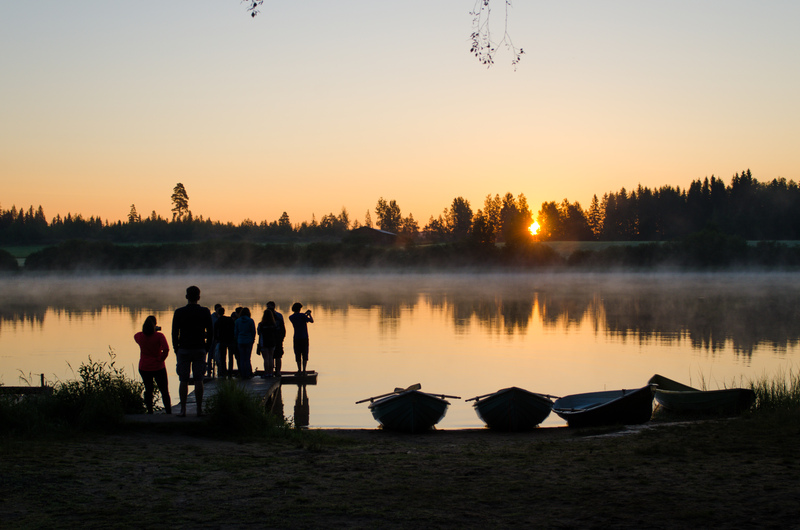 In the morning, it was time to leave camp Marttinen and Finland. 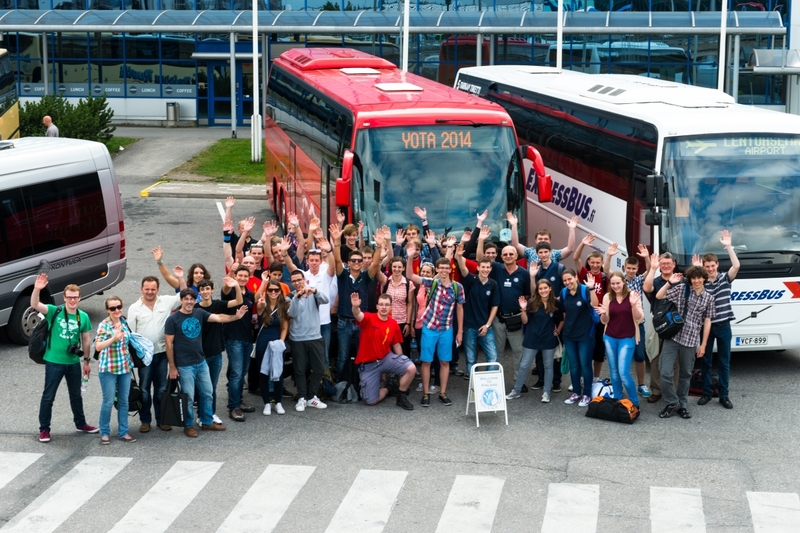 The bus was to leave at 10am bound for Helsinki airport, so the morning consisted of getting ready and ensuring that everything and everyone was packed and ready to go. We also had to make sure that the accommodation was tidy and clean before leaving. It was also time to say goodbye to team EA and team SM, who would be travelling home separately from the rest of the teams. 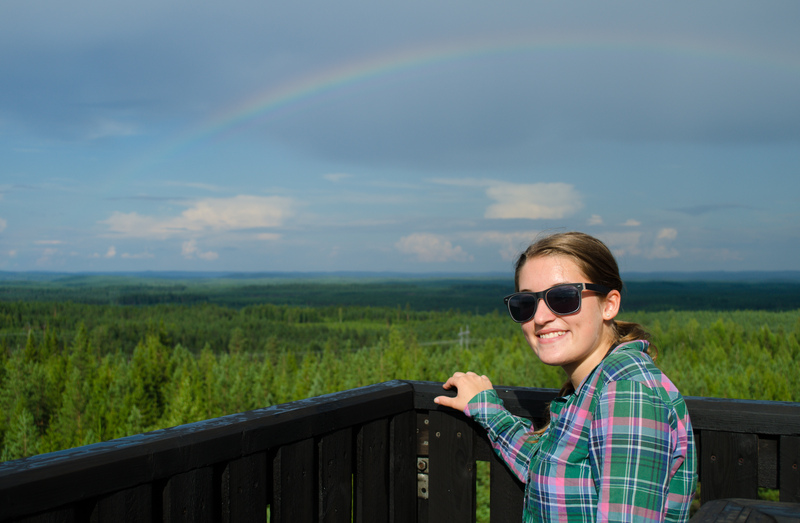 We left camp Marttinen at around 10am and made our way towards Helsinki, which would take about 3 1/2 hours. It was another glorious day, with some of the warmest temperatures we had experienced. However, most of those on the bus decided to catch up on some sleep after the early start, as well as catch up on missed sleep from throughout the week! On arriving at Helsinki airport, it was time to say goodbye to all the teams and we made our way through check-in and security to wait at the gate. The flight was on time and before we knew it, we were back in Manchester. It was then time for me to say goodbye to the rest of the UK team and I made my way back through check-in and security to get the flight to Edinburgh. Unfortunately, the flight was delayed for 50 minutes, so it was a long wait in Manchester before I could finally get on the plane home to Edinburgh. Finally, I was home, having been on the move for around 18+ hours. Time for some sleep! I thoroughly enjoyed the trip to Finland and I am both very lucky and privileged to have secured a spot on the UK team. I met some great people, whom I will try to stay in contact with and I also learned some very valuable skills relating to the hobby as well as learning more about other cultures. It’s great to see so many young people interested in the hobby and I hope what we accomplished as the UK team can inspire more young people in the UK to take up the hobby. 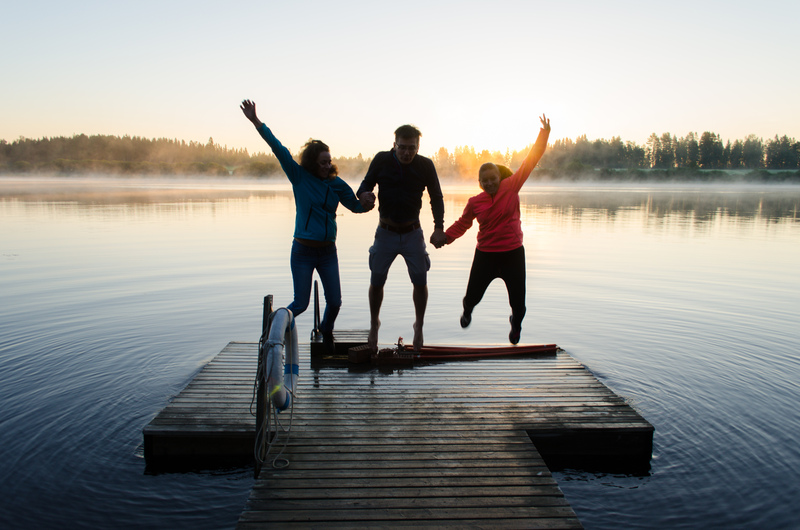 Here’s to the future and to YOTA 2015!